Yamaha's funky MCR-140 DAB micro system, available in a multitude of colour finishes, breaks away from the standard speaker configuration. The MCR-140's sturdy colour-coated aluminium-cased speakers look great up against the main receiver unit, the CRX-140; however they can also be moved away, giving greater flexibility than all-in-one iPod docks and providing a better stereo image if space allows. 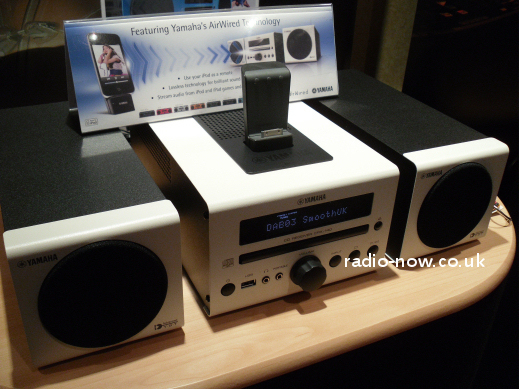 Don't be fooled, though: This is no ordinary iPod dock. The system is bundled with a wireless transmitter that plugs into an iPod or iPhone, letting the handheld music player become the remote control, whilst streaming music directly to the MCR-140 in lossless format. A standard dock is also fitted to the top of the unit, allowing you to store or charge the player, or control the tunes from the unit. A CD player for your hard-format music collection is also denoted by the black horizontal tray. Rounded edges, a chunky volume control and contrasting black buttons give the Yamaha a MCR-140's fascia a contemporary look that wouldn't look out of place in either the bedroom or living room. 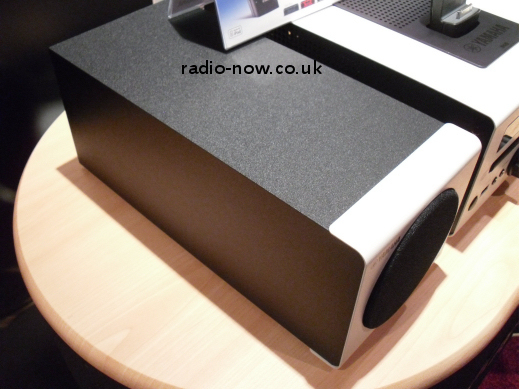 Even tuned to the fairly unassuming sounds of Smooth Radio, the ported speakers, which match the depth of the main unit, pump out an impressive lower-end range, without being overbearing. The extra dimensions allow these beasts to shift some air, moving it a notch up from the standard iPod dock bunch. Headphone and 3.5mm input and USB sockets complete the simple fascia of the Yamaha MCR-140. 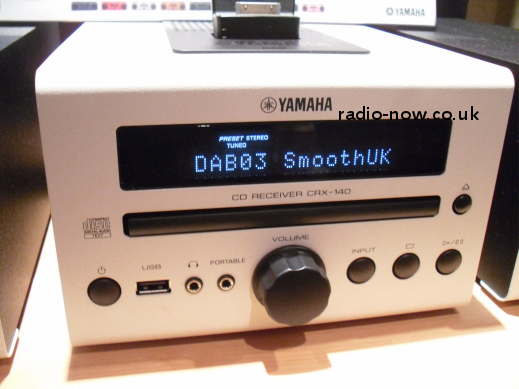 The Yamaha MCR-140 DAB micro system is available now, with a price tag of around £265.00 all in.